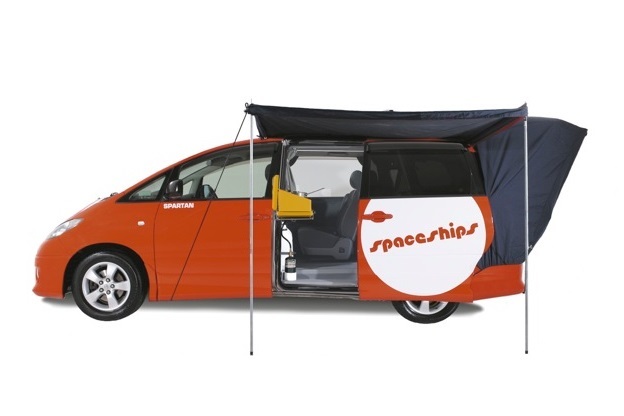 Beta Spaceships comfortably sleep 2 adults. All linen/bedding is included in your hire price. 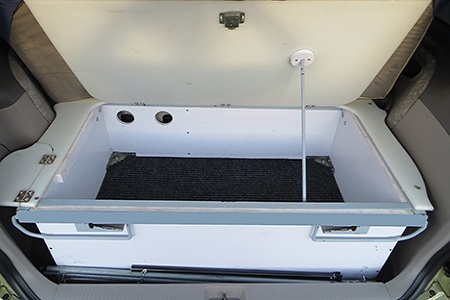 To set up: Turn the rear seat around to face the back door, set up the internal bed legs (provided for free) then sit the bed extension on top of the rear seat. This will take you less than 10 seconds to set up and dismantle. A comfortable full size double bed extended out the back door with a canvas awning attached, providing more head room and ventilation. Fantastic option for those hot Australian nights. This is an amazing option that can be used all year round (though some may prefer in the summer only). 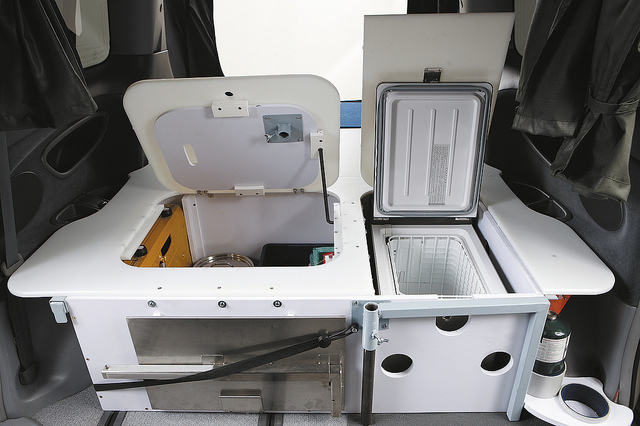 Just open the back door, pull out the rear bed structure, add the bed extension and then fasten on the rear awning. This will take you less then a minute (even quicker once you’ve done it a few times). There is a vented window with a large insect screen that can be zipped up or left open. The two burners are provided with an easy to set up cooker stand. 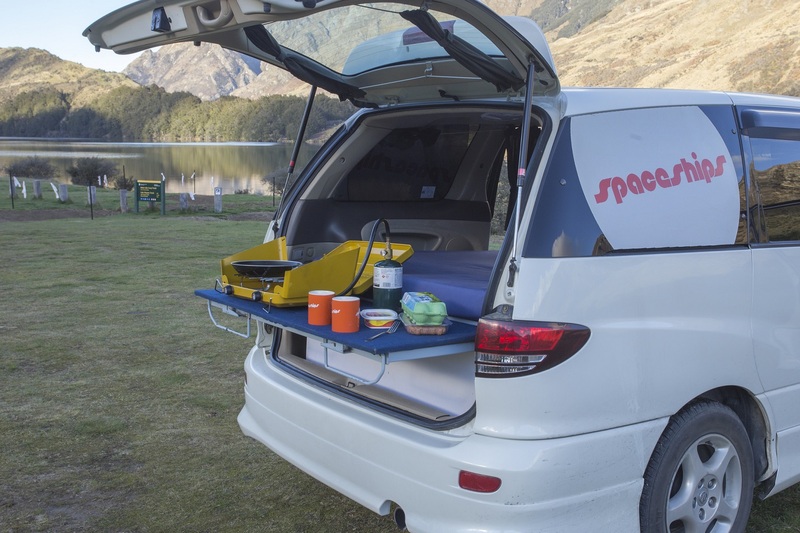 You can also rest the cookers on a picnic table or other external surface. A complete cooking kit is provided with a 20 litre water container. Spaceships are set up with two batteries, fridge and internal lights, and the other battery starts the engine. This saves you money and gives you more freedom as it means you do not have to pay for a powered site to charge your vehicle. Two rear seats with seatbelts that can fit two adults (closely) or one baby or booster seat. 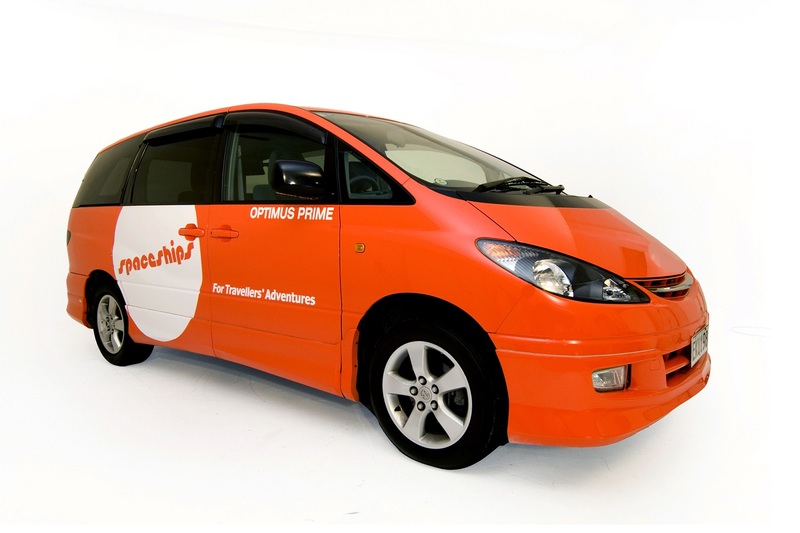 Enjoy a free entertainment system - your Beta Spaceship comes fitted with a quality MP3 player, Listen to your favourite turns as you cruise the open roads, then park up, relax and watch a movie before bed! 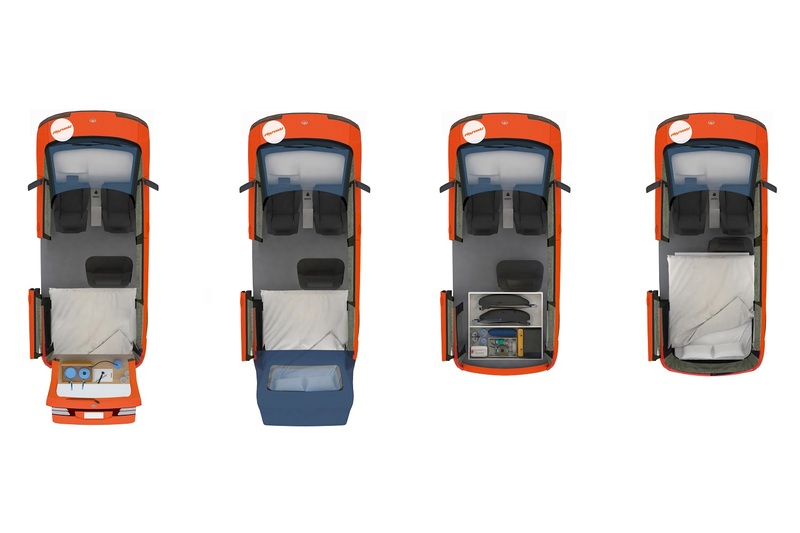 The main rear storage is accessed from the back and can securely store two large soft backpacks. We have improved the rear awning by including a large zip down area so you can access the rear storage compartment with the awning still on. The internal storage area is where the cookers, cutlery and cooking equipment are stored and offers space for dry food storage. You don't have to rearrange the interior for day and night time use. The rear seat can be rotated to perform 3 unique features. 1. 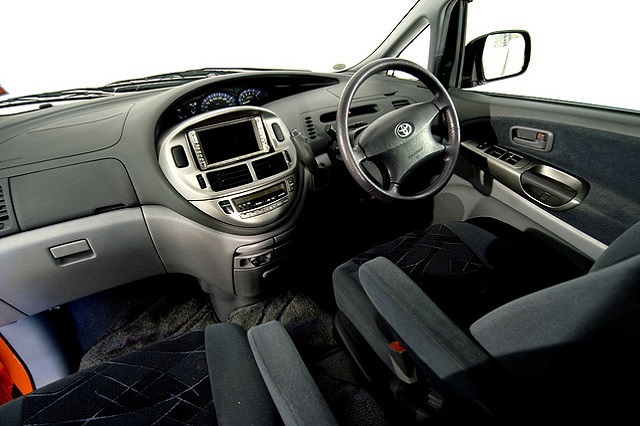 Driving: Position the seat forward for seating for up to two people. 2. Eating: Turn the seat so it's facing out the side door. Then you can set up the internal table while cooking and eating. 3. 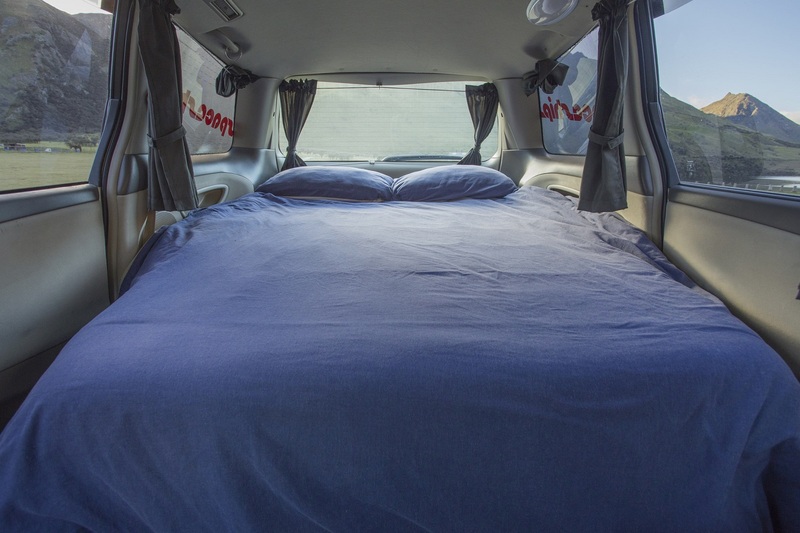 Sleeping: Lastly you can turn the seat so that's facing backwards, then add the bed extension to create a full side double bed inside your campervan. 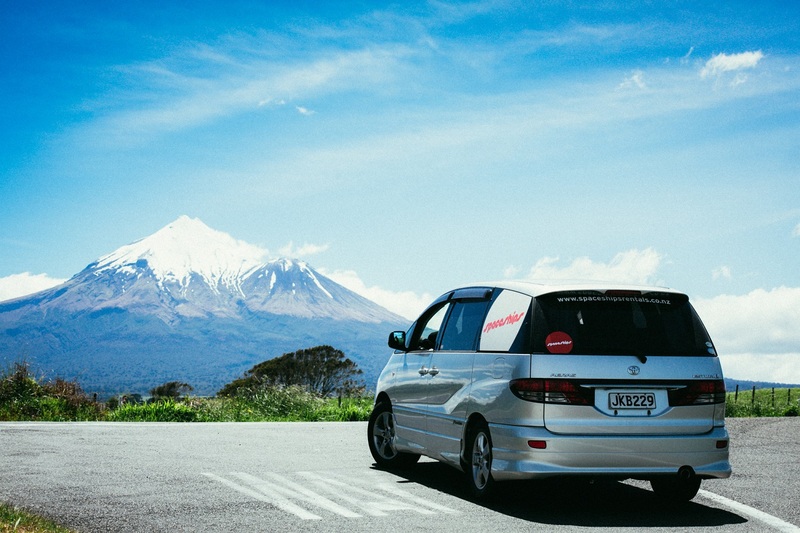 Large windscreen for viewing the beautiful scenery! The Beta Spaceship is a true pleasure to drive. 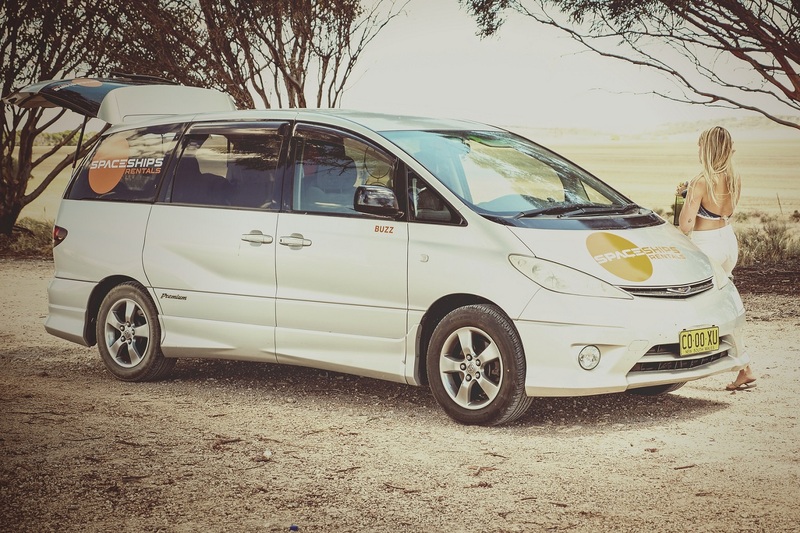 It is compact enough to park in cities and in narrow laneways but is also comfortable enough to cruise long distances. New features of the Beta over the Alpha Spaceship include: Air bags, more spacious driver's area, better storage, four cup holders, new and even spacier console design, dual slide doors, more power and better fuel economy. In keeping with all Spaceships they are fun, safe and easy to drive.